Talk to a lawyer for Free 24/7 (314) 361-4242 :: We’re located Near You! 20+ Years Experience & Thousands of Cases. Our St. Louis Bus Accident Lawyers fight to get compensation for accident injury victims. Buses and taxis are called “common carriers.” You are paying them to provide transportation and they are held to a high standard of safety and care. Bus drivers should, therefore, have appropriate training to prepare them for the challenges they may encounter on the roadway. School bus drivers should also have the training to protect students from harm both on the bus and around the bus after they exit. Being entrusted with our most precious assets does not make a school bus driver exempt from committing reckless errors while driving. Consider what happened outside of Kansas City this past August. Eighteen 6th graders got hurt when the bus they were riding overturned on a highway exit ramp. Excessive speed is said to be the cause of that accident, and the driver should have known to slow down before attempting to maneuver onto the curving ramp. Fortunately, no other vehicles were involved, and there were no fatalities, but many of the students suffered severe injury including spinal cord injuries and head traumas. In Missouri, in order to become a school bus driver, you will need to have a special endorsement added to your CDL license. In order to get that you must complete at least eight hours of specialized school bus driving instruction. Additionally, you will be required to pass both a written and practical exam. Officials will then check your driving record before issuing you your special license. Once you apply for employment, the school district will most likely ask for fingerprints in order to conduct a background check. Since most school buses are owned and operated by public schools, the drivers may be entitled to government immunity if they are involved in an accident. The government will sometimes lift immunity in car accident cases, but will still require that the plaintiff prove a greater level of fault in the drivers’ actions. Since laws vary from state to state, it is important to seek the advice of an experienced Missouri car accident lawyer if you have been involved in a bus accident in Missouri. Out in Lafayette County, the operator of a small pickup truck successfully received compensation after an accident with a school bus caused disc herniation in his spine. He was traveling along a highway when the bus suddenly entered directly in his path from a side street. Evidence shows that the driver did not do a thorough check of traffic flow before proceeding into the intersection. A jury agreed and awarded the plaintiff $300,000. They assigned only 10% of the blame to the victim. When a bus has to make a right turn, the driver is forced to swing the front part to the left in order to steer clear of any obstacles. Buses are often seen making wide right turns in highly populated streets. When a bus attempts a wide right turn, there is always a chance of a vehicle to the left becoming sandwiched between the bus and the curb. Due to the huge size and weight of a bus, such bus accidents are always serious and sometimes fatal as well. Bus drivers undergo continued and intense training in order to stay up-to-date with their licenses. Their training and experience provide them with the skill to calculate the right distance required to make a safe wide right turn. In case a driver fails to calculate the distance correctly and causes an accident, the driver may be held liable for it. Every bus driver must watch out for any passenger vehicles, pedestrians, or others they share the road with. A bus driver should signal the intent to turn well in advance before making the turn and wait for the right opportunity before initiating the turn. Being aware of the traffic laws and rules can go a long way in preventing all types of accidents. Any lawsuit filed that includes government employees would be handled best by an experienced attorney. If you or your child have been hurt in a bus accident the best way to receive full compensation for your injuries is to retain a qualified bus accident attorney. The Hoffmann Law Firm, L.L.C. has been helping those involved in car accidents in Missouri and Illinois for over 20 years. If you have been involved in an accident call our law firm at (314) 361-4242 or contact us online to schedule a free and private consultation with a qualified St. Louis auto accident attorney. In general, the bigger a vehicle is, the more dangerous it is. This effect is due to both its increased weight and the difficulty involved in driving it. The most common large vehicle that drives the roads of St. Louis is buses. Because there are so many of them, it is worth your time to understand how to safely share the road with them. If you do not, you could be headed for an accident. One of the most common types of accidents involving buses is when a car is in their blind spot. Buses frequently need to change lanes to make their stops, so driving in their blind spot is an especially unsafe practice. When driving near buses, make sure you are not right next to them. Instead, try to get ahead or far behind. Driving behind a bus can be very annoying. They often drive slowly and are constantly stopping, which delays you and may cause frustration. At some point, you will likely decide to pass them. When you do, you should follow safe practices. First, make sure you change lanes far behind the bus. You don’t want to get too close and end up rear-ending them at an unexpected stop. Next, don’t linger in their blind spot. Instead, get ahead of them as quickly as possible while staying safe and under the speed limit. Heavier vehicles have slower stopping times and thus require a larger following distance. Additionally, buses stop more than any other vehicle on the road. If you’re tailgating a bus, you are at significant risk of rear-ending them. To remedy this situation, try to stay at least thirty feet behind them. Due to their size, buses cannot make tight turns like you can in a typical car. Instead, they require wide turns. What this means is that they will often take up two full lanes during turns. When you get near an intersection, watch out for turn signals and other clues that the bus might be turning. When they start to turn, slow down and let them finish the turn before making a move. 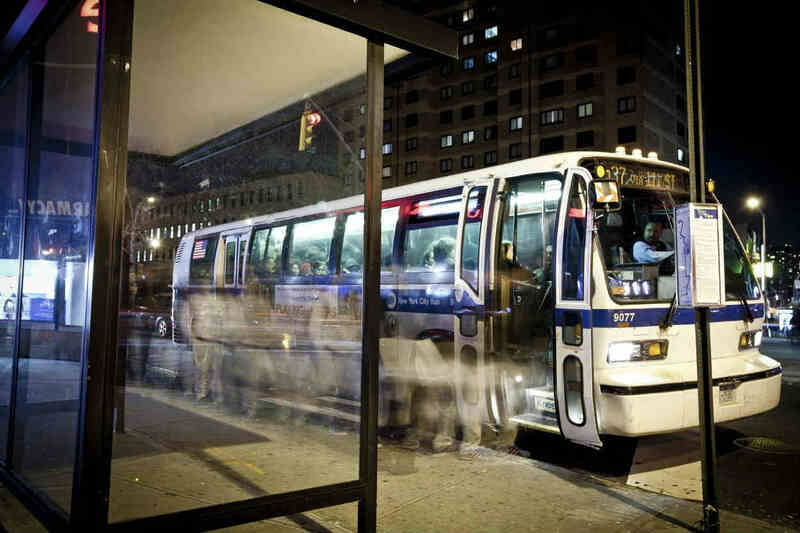 Because buses are almost always owned by either the government or a large corporation, suing for injury is usually a very complicated process. If you ever get into this situation, it is best to speak with an experienced lawyer. When it comes to driving around buses, the safest things you can do are similar to driving around any vehicle: Be patient and defensive. Though bus drivers do it professionally, a vehicle that large is not easy to maneuver. They are going to drive slower, take wide turns, and generally be a more dangerous vehicle to be around. Involved in a St. Louis Bus Accident?